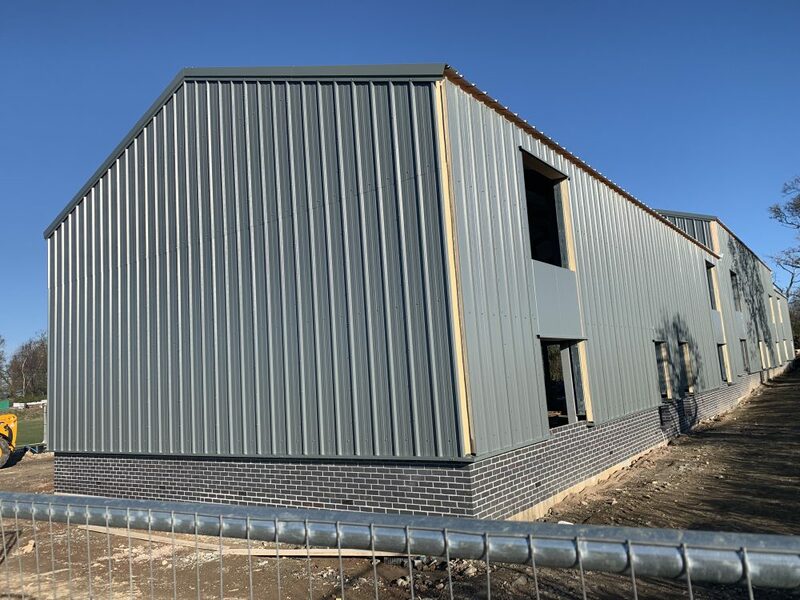 05/03/2019 Starting to take some shape now with cladding being installed. 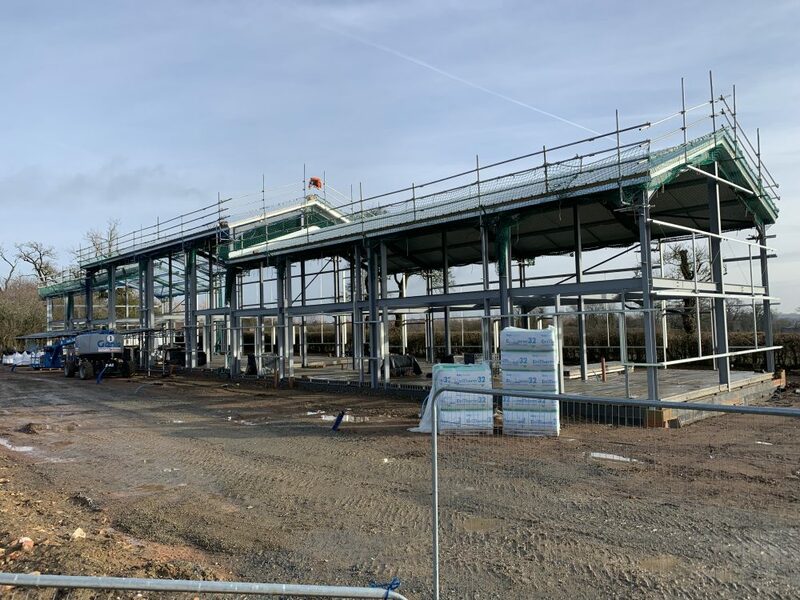 06/02/2019 The roofing being installed by our own team here at Seamans Building. 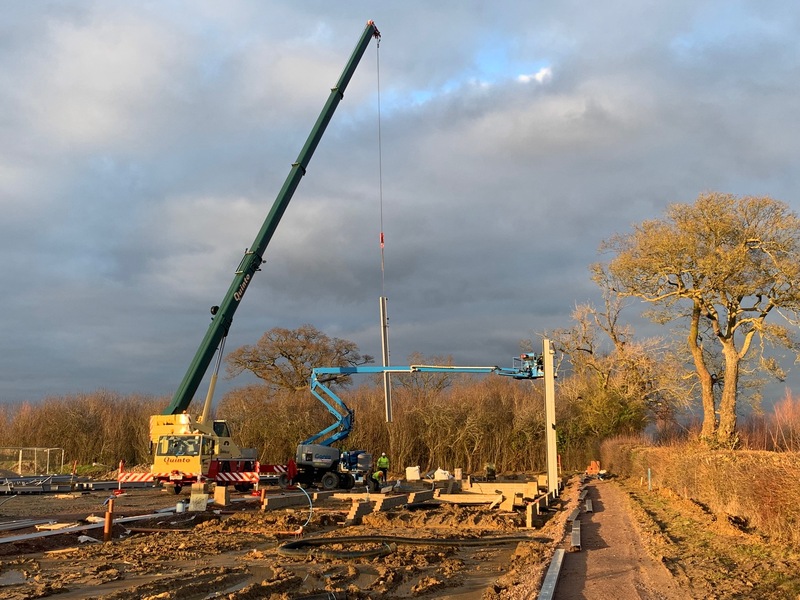 17/01/2019 With the steel frame complete, a crane lifts concrete beams into place ready to accommodate the pre-cast floor. 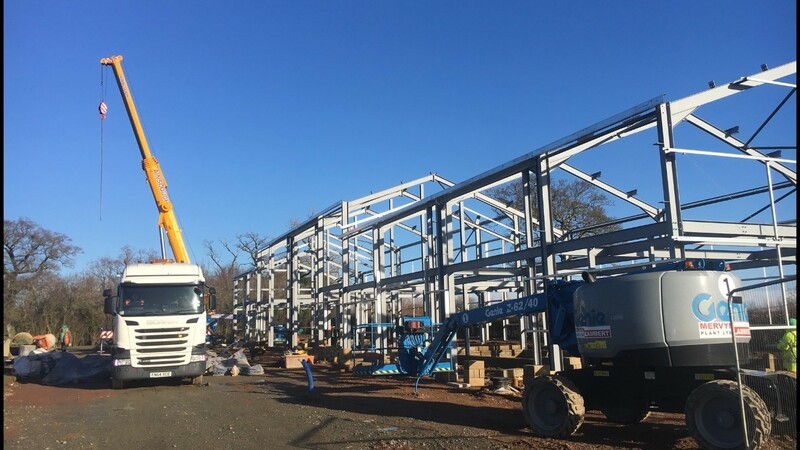 04/01/2019 The beginnings of the steel frame erection underway..
04/10/2018 Construction of the first phase of the Elm Farm Park Commercial Units Scheme is underway. 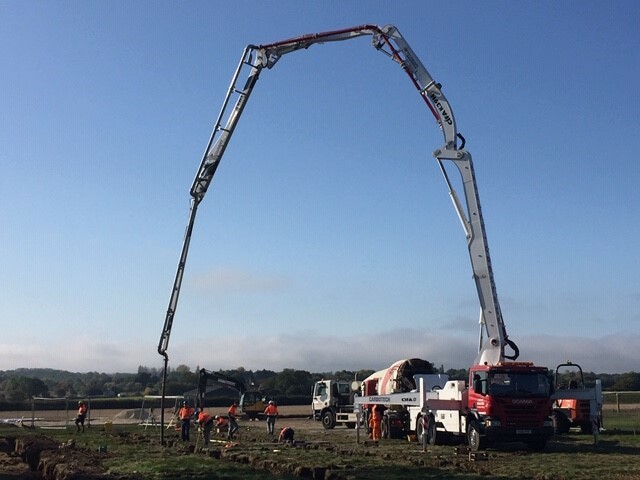 Concrete mixers arrived on site early morning pouring 130m3 of concrete into the foundations. 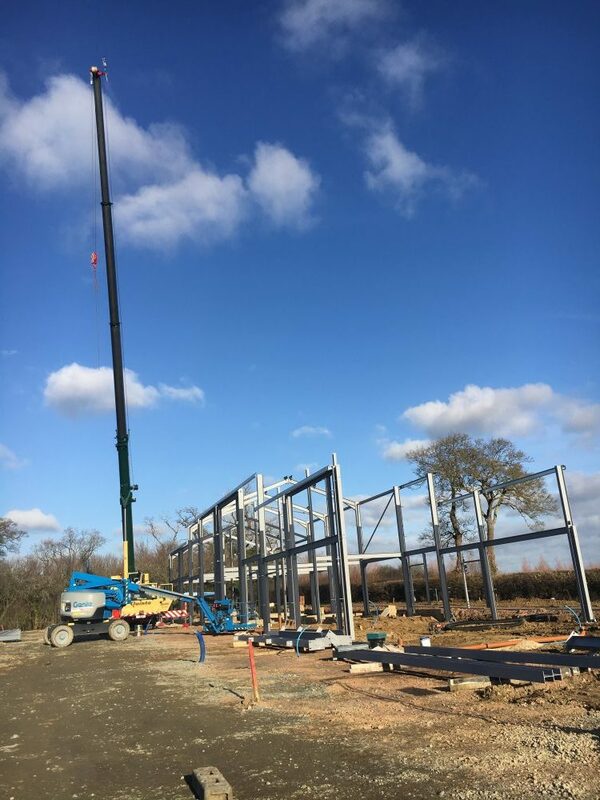 This entry was posted in Case Studies, Commercial & Public, News and tagged building site, Commercial Units, Elm Farm Park, Haydon Holdings, new build, Office Space, seamans building on 5th October 2018 by Jenny.